Speaking to potential students never fails to inspire us. There is something special about seeing someone's passion for aviation and relentless ambition to become a pilot. Everyone's story is unique and yet equally as heart warming. But what is it that is so special about learning to fly, and why be a pilot? We asked our cadets, pilots, partners and instructors this very question. See below for a few responses, or click here to read our article, 'why become a pilot?' in full. "That incredible feeling as the wheels leave the ground and the place takes flight is incomparable. whether I am the pilot or the passenger, that feeling makes me breathless." "Being a pilot, especially an airline pilot, gives you the opportunity to work in a highly qualified environment with great achievements every day. Only a few other jobs give such great career prospects, with chances to have some of the highest qualifications in the aviation industry even before their thirties. 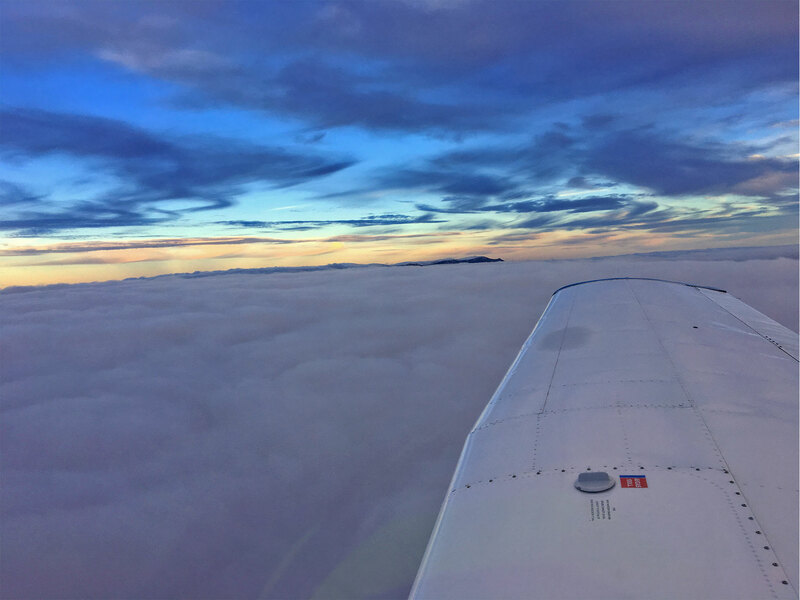 Great experiences, high job satisfaction, good lifestyle flying with a fantastic crew and friends and visiting some of the best places in Europe are just a few of the thousands of good things about being a pilot." Option A is based primarily in the UK with around three months spent in Teruel, Spain (completing flight phases 1-3). The complete course costs £69,950, which is paid over 12 months. Teruel is located close to the coastal city of Valencia where the sunny climate offers the perfect weather for cadets in the elementary phases of flying. Comparative savings of the airport and our training aircraft, the Piper PA28 means we can pass savings on to students. You will start your basic theory at our base at Brighton City Airport in the UK. Once complete, you will transfer to Spain and complete your 80 hours of flying instruction. Training in Spain not only saves you money but also time. The structure of the course means you could go from zero flying experience to a frozen Air Transport Pilot Licence (ATPL) in around 18 months. This option costs £79,950 and is completed at our main campus at Brighton City Airport. The UK is recognised for generating excellent pilots. Around 25% of the pilots that qualified in 2015, in Europe, were trained in the UK. It is the variable weather conditions and congested air space that create the perfect training conditions. Brighton City Airport is one of the busiest airports in the UK (in terms of movements). We have our own Fire and Operations teams, Air Traffic Control Tower, and aircraft maintenance company. Not only will you be taught by professional, experienced instructors, but you will learn in a supportive and friendly environment which places you at the heart of all its activities. Whether you choose the UK-based course, or elect for flight training in Spain, at FTA you will be trained to become the best pilot you can be. At FTA we understand that everyone is different. Whilst we ensure standardisation in our teaching, we recognise that students learn in different ways and we work hard to accommodate that. Both options require the same entry requirements and offer the same, high-quality instruction and facilities. At FTA we recognise that airline links are an important consideration for potential cadets. 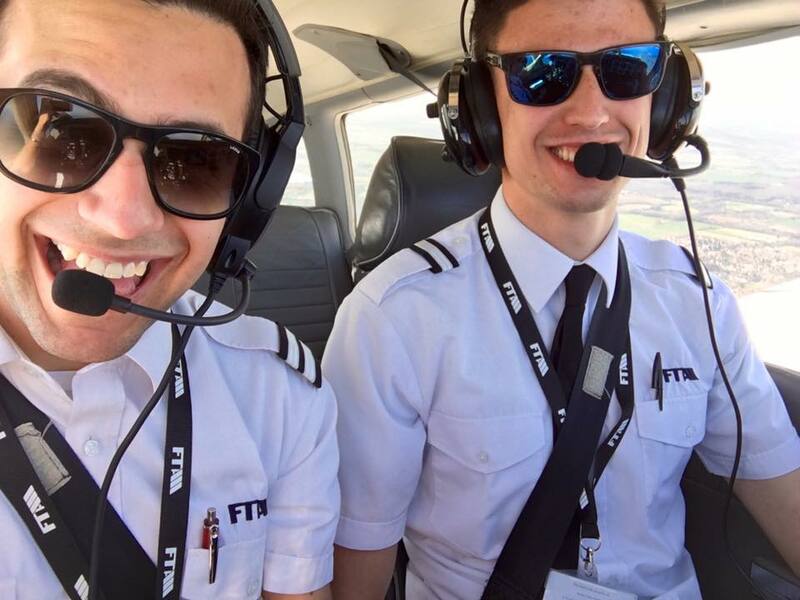 Our focus is to make you the best pilot you can be and ensure that you get the very most of your experience at FTA. We provide CV preparation and interview support to help you prepare the job application process. We also work with partner organisations who deliver in depth training and preparation for airline roles. Click here for more information about the airline preparation courses available. If intensive training is simply not feasible then you can complete each module of your pilot training one stage at a time. We offer all stages of the commercial pilot training on a modular basis and we offer excellent value, especially when you complete the MEP, IR and ME CPL back to back (and in that order). This three course package costs £26,195 and enrolment is possible throughout the year. Click here for all our modular courses start dates.